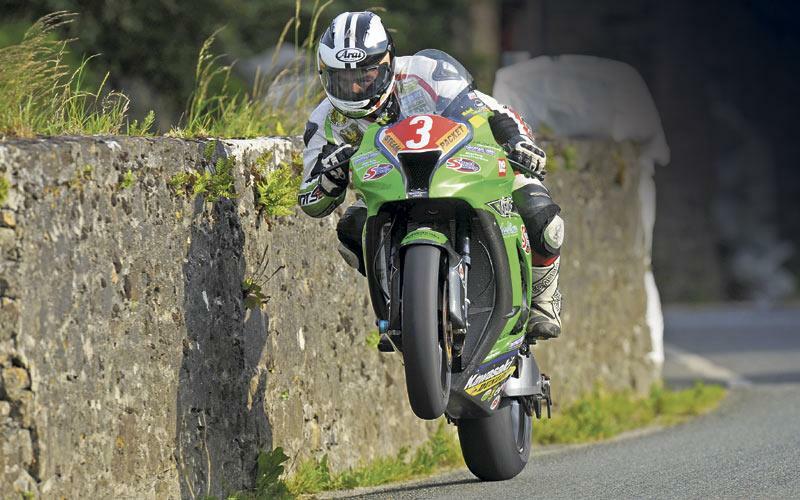 Irish road racing fans will be hoping that on-form Michael Dunlop can emulate the recent success of fellow countrymen golfer Rory McIlroy and Darren Clarke to end the Irish famine of Superbike race winners to score a home win on his green and white Street Sweep Kawasakis at the Ulster Grand Prix. It is nine years since Adrian Archibald won the feature race on a TAS Suzuki at the 2003 Ulster, the last time an Irish man won a big bike race at Dundrod in an event that was once dominated by Joey and Robert Dunlop and Phillip McCallen. The Ulster is 'the world's fastest motorcycle race' after Bruce Anstey set a new lap record of 133.977mph for the 7.4 mile Co Antrim circuit in 2010 and recent victories over Guy Martin, Cameron Donald, Conor Cummins, Ryan Farquhar and his brother William at the Southern 100 and Armoy have set Michael up as the man to beat at this year's event. Keith Amor will be back at Dundrod this year as a 'works' rider on the TT Legends Hondas but the 2010 five-time TT winner Ian Hutchinson will have to sit out as he continues to recover from the leg injury that has ruined his 2011 season. Amor will be joined by team-mate John McGuinness to spearhead the factory Honda team's only foray on to the Irish roads this year. They will line up alongside TT winners Bruce Anstey (Padgett's Hondas) and Gary Johnson (East Coast Honda) as well as Relentless Suzuki's Guy Martin, Conor Cummins on the McAdoo Kawasaki and Craig Honda duo Cameron Donald and William Dunlop for what promises to be a week of sensational high speed racing. For the full preview, pick up a copy of this week's MCN, out now.